Test your procedures – be your own mystery shopper and find out what happens when you pose as a client who wants to be removed from all databases. What’s clear is that the role of traditional insurance broker is changing into that of a strategic partner. Over the past 18 months, I’ve noticed a significant change in the internal structure of law firms. As firms experience a change cycle for technology (such as updating IT systems or installing a new practice/case management system) they take the opportunity to break the self-imposed barriers created between branches, offices and departments. In a recent email discussion with a bank manager, I asked the question: “What level of overdraft are you comfortable with offering a law firm?” I received an instant response saying: “I’m happy to tell you that it’s usually two month’s fees.” It was useful to know this information, but it led to further thoughts on working capital requirements, considering no two firms’ financial needs are identical. Polly Jeanneret, LPM's HR guru, answers questions on revamping HR and personal difficulties. William Robins, operations director at Keystone Law, says releasing fee earners from relentless oversight may be better for the bottom line than incentivising and managing them. 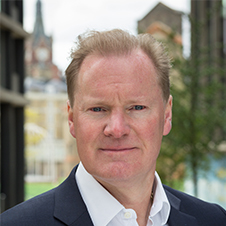 Peter Hiscocks, senior faculty in management practice at Cambridge Judge Business School, talks about being brave enough to 'drown puppies' – and other key pointers for making the most out of any innovation investment in Briefing. So what are the plans for 2016 at File Queen towers? With the new Data Protection Act (DPA) release only days away, the FQ has witnessed many customers picking up projects for record/ information management process that had been placed on hold in 2015. For the majority of law firms the compliance burden is one that increases year on year. Outcomes focused regulation puts firms under pressure to prove results without always providing a sufficient framework within which to operate. In the last edition of LPM (December 2015) I discussed the concept of ‘the modern lawyer’ and the skills they need, including fundamental business foundations such as business development, service delivery and marketing. Now I want to cover the lawyer as a BD manager (BDM), the importance of business growth from within your customer base, and how you should see every client touchpoint as an opportunity to create more business. Tony Williams, principal at Jomati Consultants, assesses current appetites for a range of alternative business structures.